The choice is huge - so how do you know where to start? The good news if you're in the market for a new fitness tracker is there are a huge pile of devices to pick from, covering a wide range of styles, functions, prices and features. If you're wondering how to narrow down your search, you've come to the right place. Here we'll break down the main decisions you need to make, about the features you want, and the price you're prepared to pay. Once you have a better idea of what's out there, you can spend more money wisely, and get a tracker that's perfect for you and your goals. Broadly speaking you can separate the market out into two distinct types of device: on the one hand you have fitness trackers that focus specifically on health and fitness, and often come without a display. On the other there are smartwatches like the Apple Watch, which are first and foremost watches that act as extensions to your phone, but also have health tracking features built into them. The latter category of devices gives you more features but comes at a higher cost - so which one should you go for? It largely depends on whether you're interested in what a smartwatch can offer: notifications, call and message alerts, directions and so on. You should also bear in mind the type of exercise you want to do, because a bulky smartwatch might not be ideal if you're tearing around the football pitch or going swimming. The waters are muddied further by the devices like the Fitbit Charge 2 that focus on fitness but also have an LED display that can, if you wish, tell you the time. Strictly speaking its a third category: some of the benefits of a smartwatch but without the developed ecosystem that you get with an Apple Watch or an Android Wear timepiece. Once you've decided if you're taking the smartwatch route or sticking with a more traditional tracker, you can start looking at features. What you'll notice very quickly is that pretty much every device includes the basics of step counting and sleep tracking. If that's all you need, great - you don't need to spend much money at all. Heart rate tracking is also starting to creep into more and more of the basic devices, though the readings aren't usually as accurate as those from dedicated chest straps, at least not at the moment. It can be a useful extra to have but don't pay more for it expecting to see infallible results. As for smartwatches, obviously you'll be able to tell the time, but consider what else you want - most will show alerts from your phone in a basic form, though fewer devices will let you interact with them or support different alerts for different apps. That brings us neatly to the app that comes with your tracker or smartwatch. It's a good idea to check this out in advance too, to see if it offers what you're looking for (user reviews and screenshots can be helpful here). Fortunately, the apps from all the major manufacturers are very polished, so you shouldn't run into any real problems. It's once you get to the advanced features that the real fun starts, and the best way of choosing what extra bells and whistles you need is to figure out how you're going to be using your new toy. 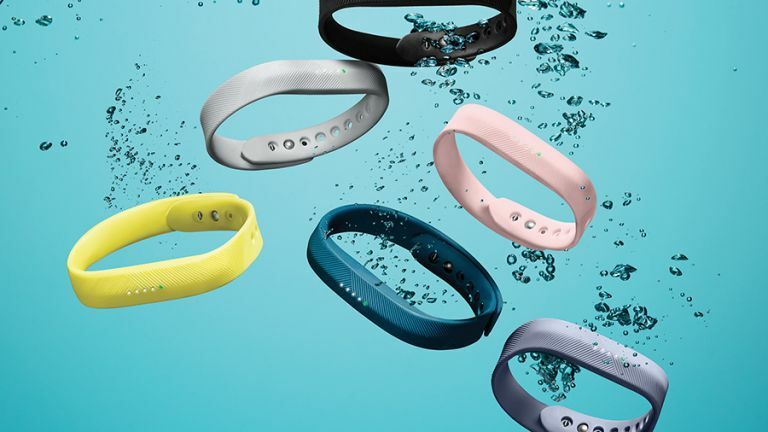 For keen swimmers, a waterproof tracker is a must. For those of you more interested in fell running and hiking, look at one of the rugged, specialist outdoor watches that measure altitude, location and more besides (Garmin makes some decent models). If you want to be able to get out and about without your phone, look for integrated GPS - trackers can measure steps and activity without a phone handy, but a lot of them still require an active connection back to your handset to monitor where in the world you are, so bear this in mind if you want to plot the routes of runs or cycle rides. Those of you going beyond casual tracking to something more serious might want to look for a device that can measure VO2 max, your body's ability to take on and use oxygen. By now we're hoping you have some idea about what you're looking for, but there are more variables to consider: looks, battery life, and of course price. In terms of the looks and style, it's really up to you and what you're comfortable with. For battery life, most trackers will last a few days between charges while premium smartwatches usually need charging every night. If you really don't like finding a power source, consider a mechanical watch with some fitness tracking extras, as some of them will use a normal watch battery and last you months as a result. As for price, you usually get what you pay for with smartwatches and fitness trackers - they're aren't many overpriced or underpriced models out there. If you need the best features, you'll need to save up; if you don't, there are lots of great budget options. We don't have room to mention specific models here (see this guide for a few ideas) but if you want something that's fitness first, the likes of Fitbit, Misfit and Jawbone have you covered; for a smartwatch device that also does fitness, consider shopping with Apple, any Android Wear maker, Pebble, Samsung, Fossil, Withings or Fitbit (again).